Acquired from Marlborough Fine Art Ltd., London in 1968. Bayer had a varied and influential career as a designer, painter, photographer, sculptor, art director and architect. 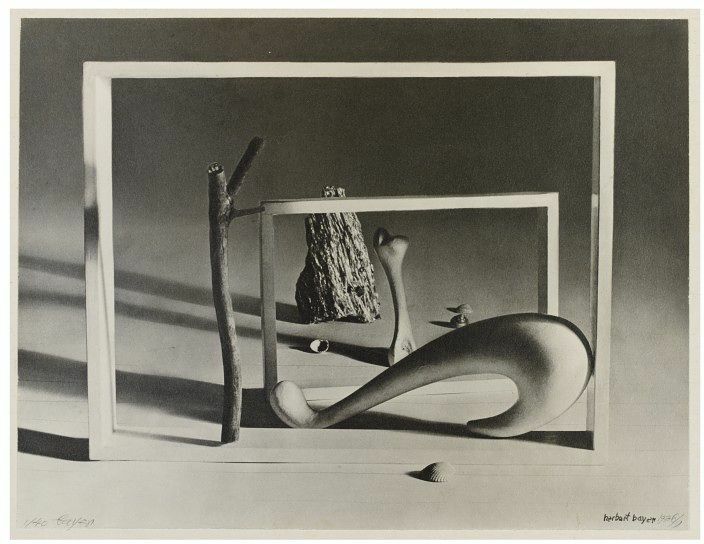 He taught at the Bauhaus school in Dessau, Germany, and later took an interest in photomontage, both in his artistic work and advertising. Using this process, he combined his photographs with found imagery, producing surreal or dreamlike pictures. Herbert Bayer was one of the leading figures in the Bauhaus movement in Germany and throughout his career was a highly influential graphic designer and artist. Bayer began to experiment with photography while he was teaching advertising, typography and layout at the Bauhaus school in Dessau. He produced some straight photographs, highlighting the abstract structures and sculptural qualities of things, but was never interested in the technical side of photography and so his exploration of straight photography was limited. He left the Bauhaus in 1928 and established himself as a leading designer. It was at this stage that he took and interest in photomontage. 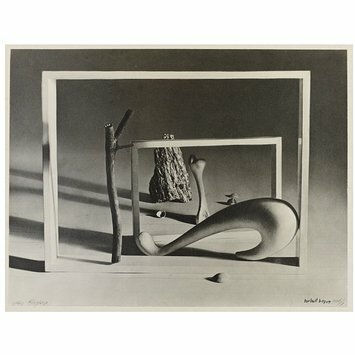 He used the technique for his own artistic work but also in advertising work, where he was partly responsible for establishing photomontage as a key commercial visual style in the 1930s. 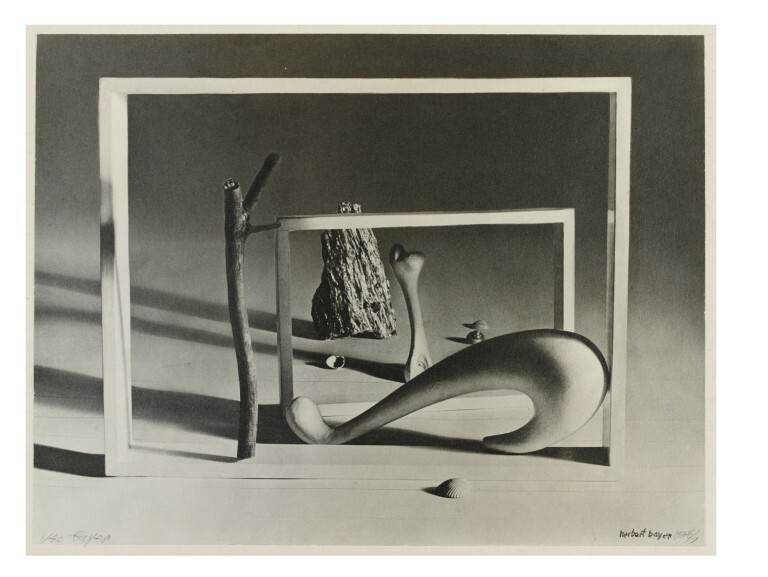 His main body of photographic work was produced in the late 1920s and the 1930s, after which he continued to develop other areas of visual design.